We have clinical and medical negligence solicitors who have been in the field of medical law for decades waiting to answer any queries you have concerning clinical negligence. Our medical solicitors are trained and qualified to the highest degree and can assist you on any aspect regarding a medical neglect case. For free legal expert advice do not hesitate to call our free phone number any time of the day where we can assist you on questions regarding you clinical negligence case, or hospital negligence claim. Clinical and Medical Negligence Claims? By definition medical negligence means mistakes have been made by a professional healthcare worker such as a doctor or surgeon (either privately or on the NHS) during a medical procedure, diagnosis, or hospital treatment, due to their negligent actions. A case for compensation might then be started by a solicitor if the medical negligence claim is still within the time limit. To find out if you can claim you will need to talk with a specialist solicitor, call us for free legal advice. It goes without saying that health practitioners who work within the health industry, even those who work solely in the cosmetic industry should have the intention not to cause to harm to any of their patients. The majority of medical mistakes are not intended, but due to circumstances things can go wrong. If it is proven that another health care worker of the same ability would not have made such a mistake in the same circumstance then a breach of duty has taken place. 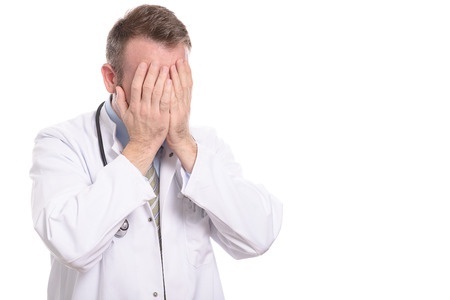 Mistakes that take place in a medical environment can have detrimental consequences for the person involved and should never be taken lightly. In order for you to make a medical negligence claims it is worth first viewing our clinical negligence explained page. When claiming against a health care practitioner or the organisation where the negligence occurred you must have been injured either physically or mentally. If a negligent incident has occurred but you were not caused any harm then such a case may not stand up in a court of law, there needs to be some type of harm caused due to the negligent act that was committed. If as a result of a negligent incident you were harmed in any way you may be able to claim compensation for medical negligence. You can start a claim off by simply calling our free phone number where a member of our legal team will be more than happy to assist you in any questions regarding a situation of medical negligence. If you would prefer you can fill in an online contact form where a clinical negligence solicitor can get back to you at a more convenient time of the day. 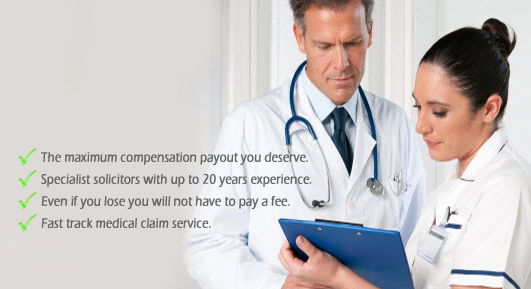 What are the Different Types of Medical Compensation Claims? What are the different types of negligence claims? Gross Negligence – this is ultimately considered the most severe type of negligence. As said previously the majority of health care workers do not intent to cause any of their patients harm. If gross negligence occurs it means that the practitioner responsible has been seriously careless and has complete disregard for you and your health. This in turn goes completely beyond and below the breach of duty and falls in the lines of a deliberate act. Such negligence should always be brought before the law whether a victim needs compensation or not as such a person should never be allowed to work in the health industry. Vicarious Liability – this type of liability resides with the person in charge of the person who has committed the negligent act as they are responsible for the actual person. Vicarious liability is a secondary liability that is governed under the common law doctrine agency. In terms of medical negligence a health organisation may be accused of liability for the work of any subordinate physician that has caused negligence. Comparative Negligence – this type of negligence is measured in terms of what degree was the accused responsible for the actual negligence to the claimant. In layman’s terms how much fault in terms of percentage is the health care practitioner to blame. It is almost a shared responsibility where a jury will decide the degree of blame concerning the victim and the accused. Contributory Negligence – this can happen when the victim of the negligence is actually proven to be the person responsible for the actual medical negligence that has taken place and receives no compensation for their injuries. What Amount of Compensation can be Expected from a Medical Negligence Case? Giving an exact amount of compensation that should be awarded in any one medical negligence compensation case is very difficult as there are many aspects of each claim to take in to consideration. Medical negligence takes on different forms and circumstances surrounding the person and the negligent act are different to another and it affects people in different ways. No two cases are exactly the same. You can use a medical negligence compensation calculator to calculate an estimated amount of compensation that may be awarded in your case. It’s vital to remember that the amounts shown may relate to other cases that have underlying differences to your own. We pride ourselves on taking 99% of all cases we take on, on a No Win No Fee basis. We believe that we have the ability to deliver a successful result when representing a valid medical negligence claim for compensation. In April 2013 the law changed regarding claim cases if the outcome favours the claimant. Any No Win No Fee cases are more often referred to as a Conditional Fee Arrangement and it remains the same if the claimant loses the case no moneys is required. The change that took place relates to if the case is won, and if it is the claimant must pay a percentage of their compensation amount awarded to their legal team. The percentage that will be taken is capped at 25% so no more than this amount can be taken from the compensation. The most important aspect to state is that no matter the outcome the victim of medical negligence is not at any financial risk. To view the reforms that have come in to practice you can visit gov.uk and find a detailed analysis of the changes. If you think you may have grounds to make a medical negligence claim, you should seek legal counsel at the earliest opportunity. 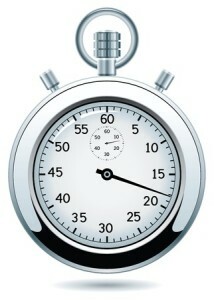 Section 11 (4) of the Limitation Act 1980 sets out clear legislation regarding the clinical negligence claims time limit. The Act provides that victims of medical negligence have three years from the ‘date of knowledge’ in which to commence legal action. Generally speaking, the ‘date of knowledge’ is the date you knew, or could have been expected to know, that your suffering was attributed to the negligent act of a healthcare professional. The law differs slightly for children under the age of 18, who have three years from the date of their 18th birthday in which to file a claim. Occasionally, a court may grant an exception to this rule, particularly if funding is needed for care on a day-to-day basis. Also, to find out an estimate of how much compensation you might be you may be entitled to claim you can view our medical negligence compensation calculator page. You shouldn’t feel intimidated about making a no win no fee medical negligence claim. If you have suffered due to the negligence of a healthcare professional, you have a legitimate right to seek compensation for your ordeal, and any damages attributable to that period of suffering. Our medical negligence solicitors are here to guide you through the medical negligence claim process, and are committed to keeping you informed every step of the way with regular updates on case developments. Initially, when you contact us, we’ll carry out a free evaluation of your claim to ascertain its value and viability. If we believe we can help you, we’ll make you a formal offer of representation, and explain how we recover our costs under the no win no fee agreement. Once we have your consent, we’ll begin compiling evidence in support of your case, and commission a full report from an independent medical specialist. We’ll then send the report to the legal representatives of the opposition seeking an admission of liability, after which, negotiations for settlement will usually begin. Why Choose A No Win No Fee Medical Negligence Solicitors? When choosing a medical negligence solicitor it is important that the claim is on a no win no fee basis were you will have no financial risk. You will never have to pay any bills and you can claim for free. Also the benefits in choosing a specialist clinical negligence solicitor is that the solicitor is highly trained to deal with clinical negligence cases and will have much more knowledge in medical claims than your average personal injury solicitor. This can be vital in winning the case. We know that many people are hesitant about claiming due to the legal costs involved, which is why we take the time to discuss the no win no fee agreement with you before making an offer of representation. The no win no fee agreement is a legal waiver of sorts, which effectively eliminates any liability on your part for legal fees for the duration of the claim. We won’t seek a penny from you in legal costs at any stage of the medical negligence claim process, and if your case isn’t successful, all fees will be covered by our own insurer. If you have questions about the claim process, or would like to take advantage of our free claim assessment service, book a free consultation with our solicitors using the online form today. Alternatively, you can call us directly on the free-phone number above if you’d prefer to speak with someone straight away. Is Medical Malpractice on the Rise? According to the latest fingers it would suggest quite strongly that medical malpractice seems to be on the rise. Official figures published in 2013 reveal that medical negligence had risen 20 per cent in just one year and a huge increase of 80 per cent since the year 2008. In 2012/2013 16,006 clinical negligence cases were filed compared with 13,517 cases that were filed during 2011/2012, a massive increase of 18.4 per cent. Expertise have reported that it is largely due to the service that is being provided in the health care sector, not enough care and attention is being provided when dealing with patients. What happens when Medical Negligence causes harm? Where the law is concerned in order to pursue a case for medical malpractice it is not enough for the health care professional to have just provided a service that is below the standard that is expected, the service in question must have in some way caused harm to the patient. If this does happen the patient has every right to pursue a claim for medical negligence. We deal with 99 per cent of all medical negligence cases through a No Win No Fee agreement meaning that at no time are you at any financial risk. In order to represent your case in the best possible way a clinical negligence solicitor will need to know in detail about your experience and how you think the service and treatment provided was negligent. It is vital that as soon as a person feels that they have received negligent treatment they acquire some legal advice. Events that happen during medical treatment are always more accurate when told soon after the incident as they are still fresh in a person’s mind as small relevant details may be forgotten if left untold for some time. It is also easier to get in contact with any witnesses that may have been present at the time as people may be harder to find months or even years after the negligence took place and also there statements will be reliable if told soon after the incident. Quite a tricky question as all clinical negligence are individual, no two cases are the same and each case can have their own complications. On average if there is one a clinical negligence case can take up to two years to settle however that said if a case has difficult issues it may take much longer. Will a complaint or claim affect a patient’s treatment? It is important to remember that every individual has the right to receive health care treatment that is of the expected standard if not above. No one chooses to be ill or injured and if they are unfortunate enough to be ill then they must receive the appropriate treatment and the correct time. If a patient receives negligent treatment it is of the fault of the health care professional and therefore the patients treatment will not suffer as a consequence. Is there is a charity or support for clinical negligence patients? Action Against Medical Accidents (AvMA) is a registered UK charity set up especially to provide patients affected neglect with support and justice. The charity provides free confidential advice, support and information to those who have fell victim to poor unacceptable healthcare and medical negligence. Is there a Support Charity for medical neglect patients who suffer from mental health problems? Mind is a recognised charity that offers support and legal advice to those who have mental health problems and have fell victim to clinical negligence. It is possible to find a legal guide and full information on medical malpractice by visiting Mind. How to make a hospital complaint to the NHS? by viewing this link on the NHS website it gives you information on how to make a NHS complaint also when you are discussing your compensation claim with the lawyer we provide you with your solicitor will also give you advice on complaints.